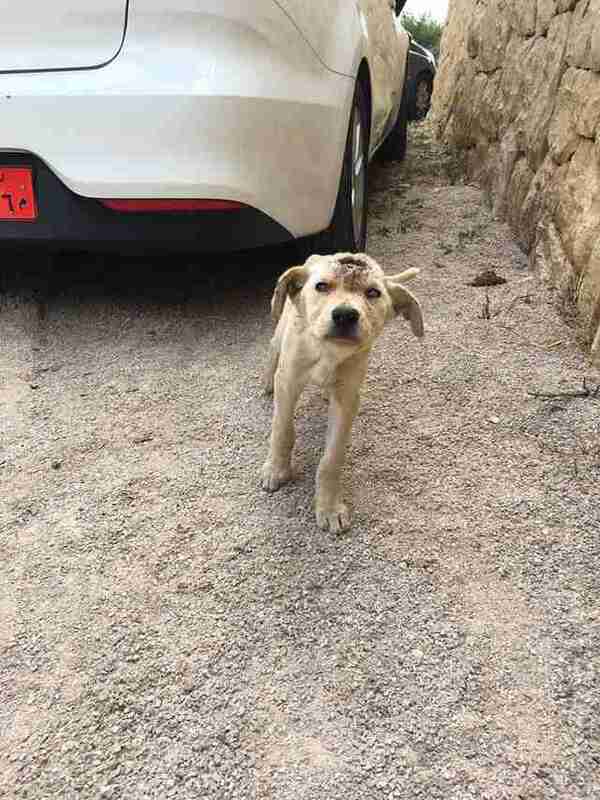 Amal Andari and her friend were driving toward a village outside of Beirut, Lebanon, when the two women noticed a stray puppy wandering along the road. “My friend said, ‘Slow down. I want to give her some water,’” Andari, a volunteer for Animals Lebanon, told The Dodo. 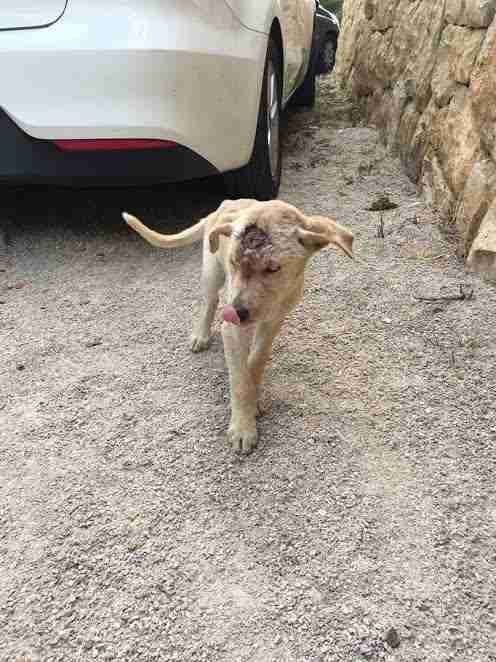 When Andari slowed the car, they saw that there was something seriously wrong with the 2-month-old puppy. As the puppy drank, the women spoke to a local man. But Andari didn’t think a dog attack caused the puppy’s head wound. 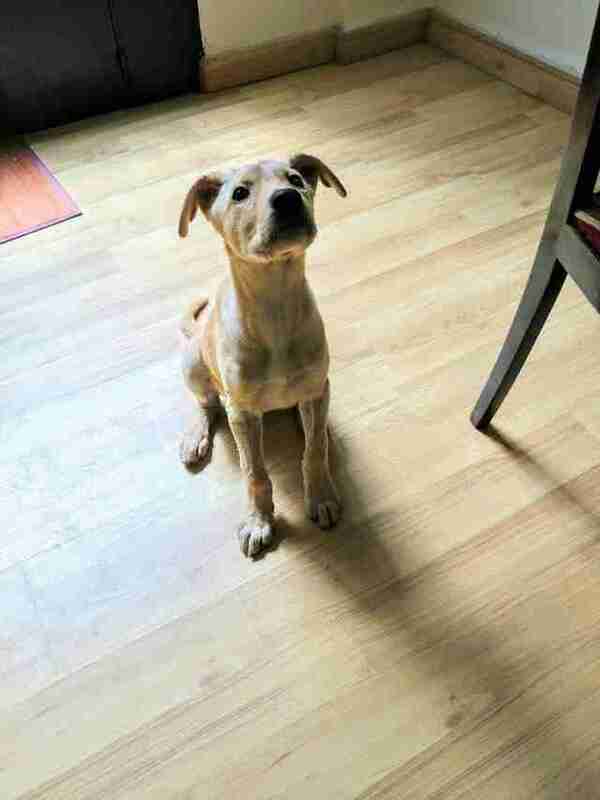 Whatever had happened, she could see that the puppy needed help — and quickly. 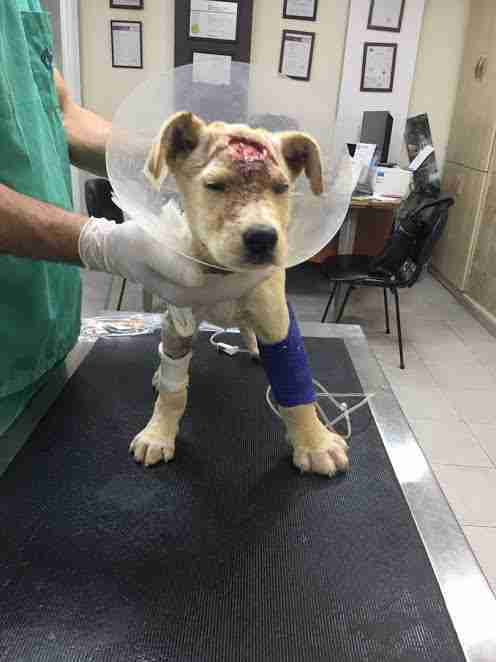 So Andari and her friend picked up the puppy, put her in the car and drove to a vet clinic in Beirut. 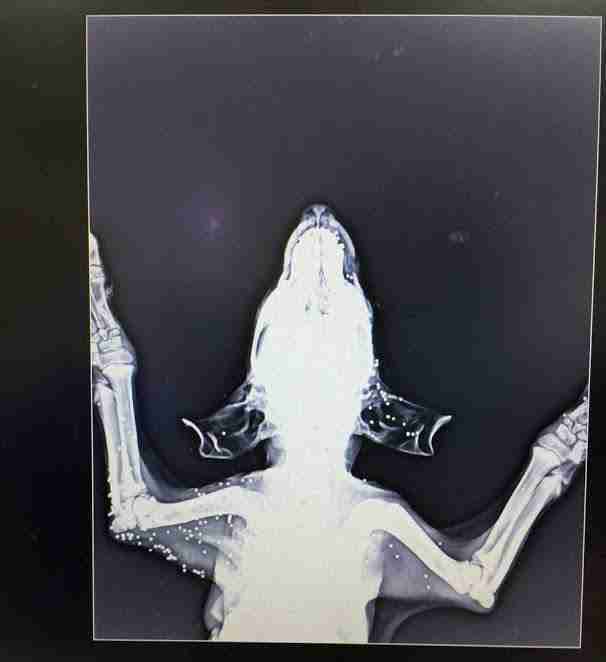 When the vet took X-rays of the puppy, they learned the awful truth of what had happened — someone had shot her. Not just once, but dozens of times. As cruel as this seems, Andari explained that many dogs get shot in Lebanon — and it’s common for them to be poisoned as well. The vet decided not to take the pellets out since they were superficial, and it might cause more harm than good. But the puppy needed to go on antibiotics and her wounds needed to be regularly cleaned. 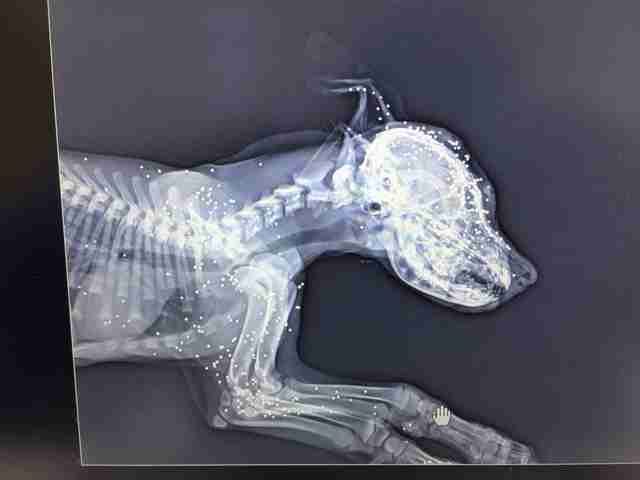 The puppy, whom they named Bondok, had been shot in one eye, and this had blinded her. On top of everything else, she also had a bad case of parvovirus, a viral disease that can be life-threatening without treatment. “He [the vet] told us that there was only a 25 percent chance that she will live,” Andari said. Despite the bleak prognosis, Andari refused to give up on hope on Bondok. Bondok was in a critical condition for four days, but she managed to survive. After spending a week at the vet, Bondok went into foster care with Andari’s friend. Animals Lebanon is currently looking for a very special forever home for Bondok — and that home can be outside of Lebanon, Andari explained. 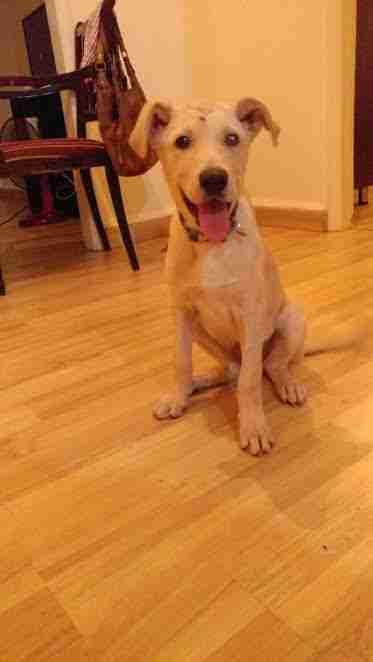 If you’re interested in adopting Bondok, contact Animals Lebanon. You can also help pay for her veterinary care by making a donation.